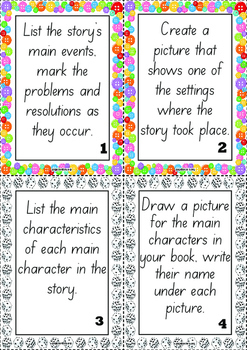 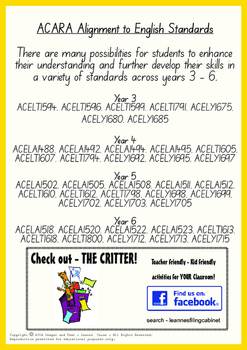 This resource provides 24 printable cards for use to extend your students’ reading experience. 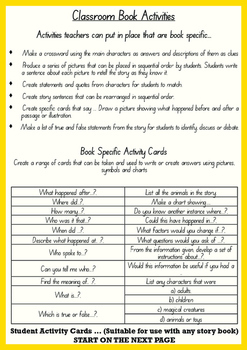 It also provides some ideas for teachers to use to make book specific activities for their Literacy Centres or for use in Literacy Blocks. 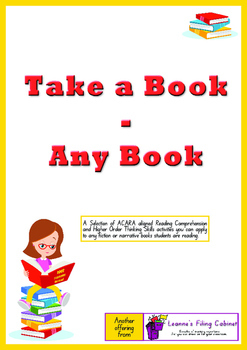 Take a Book - Any Book by Leanne Caune is licensed under a Creative Commons Attribution-NonCommercial-NoDerivatives 4.0 International License.